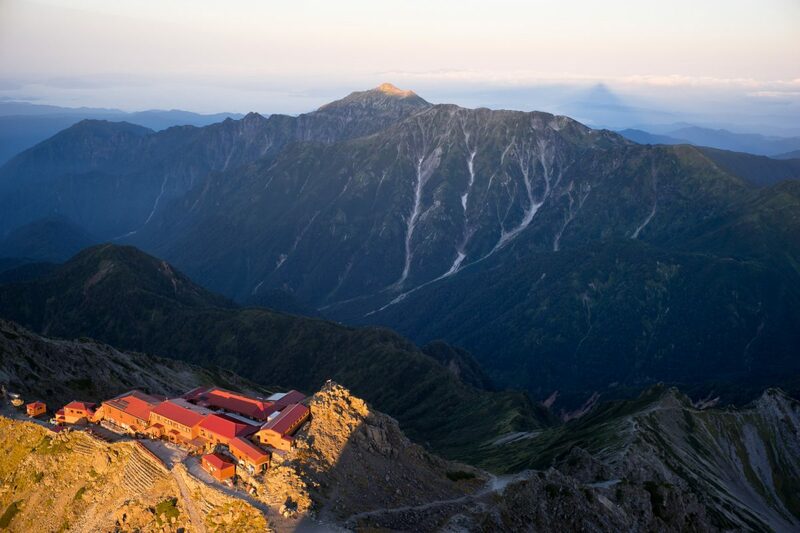 This post is the 2nd out of 3 about traversing the Japanese Northern Alps (北アルプス). 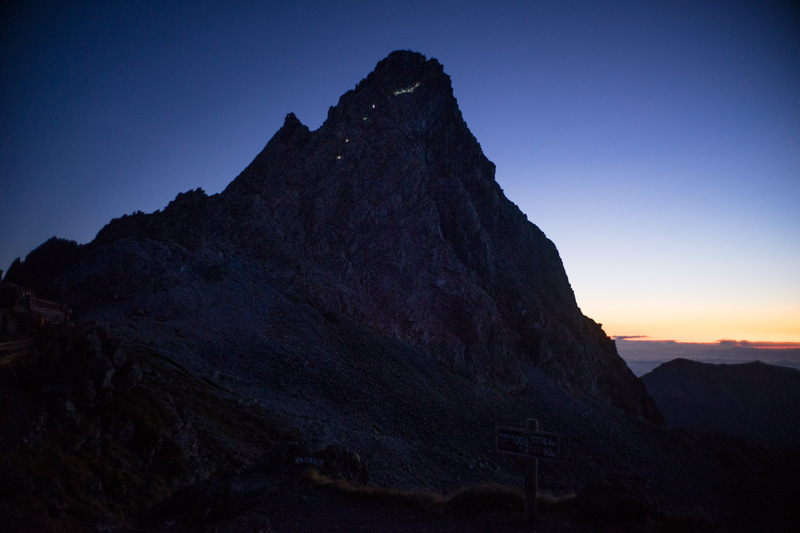 Henceforth, I will describe the trek from Yarigatake (槍ヶ岳) to Yaridaira (槍平小屋). 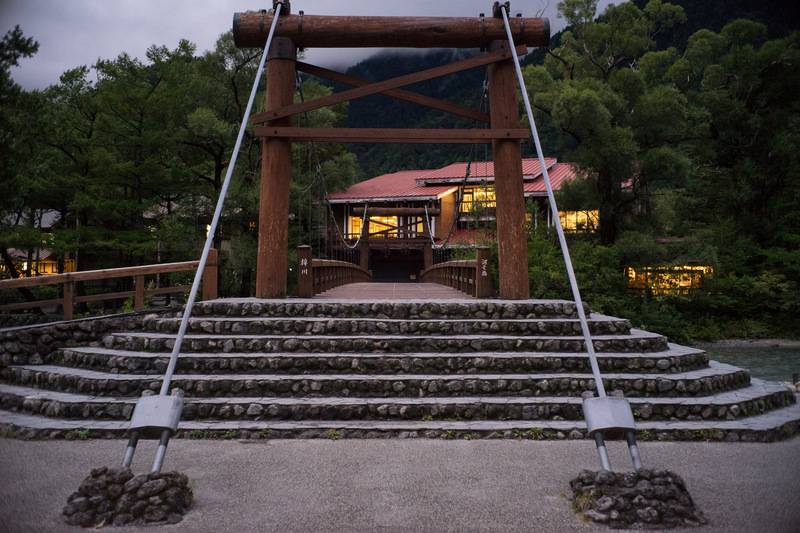 For part 1 from Kamikochi (上高地) to Yarigatake (槍ヶ岳) klick here. 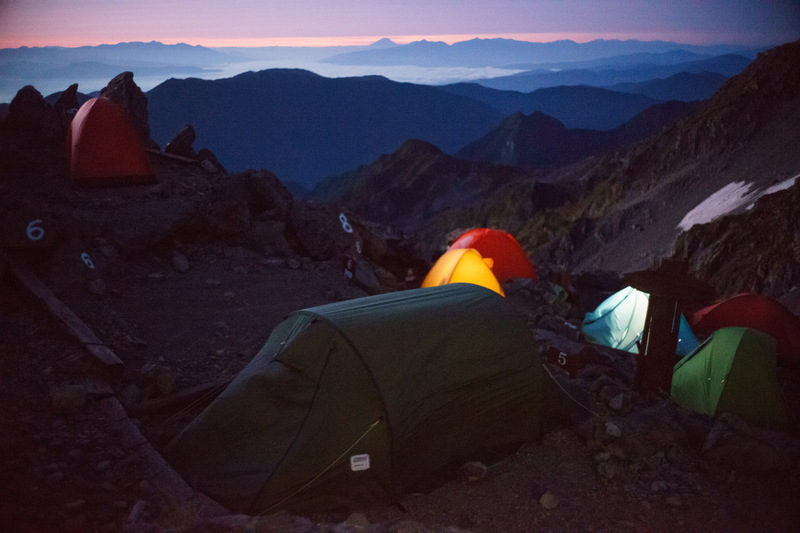 We started off at the camping ground on Yarigatake (槍ヶ岳), so of course we had to get up early to see the sunrise from the top of the mountain. 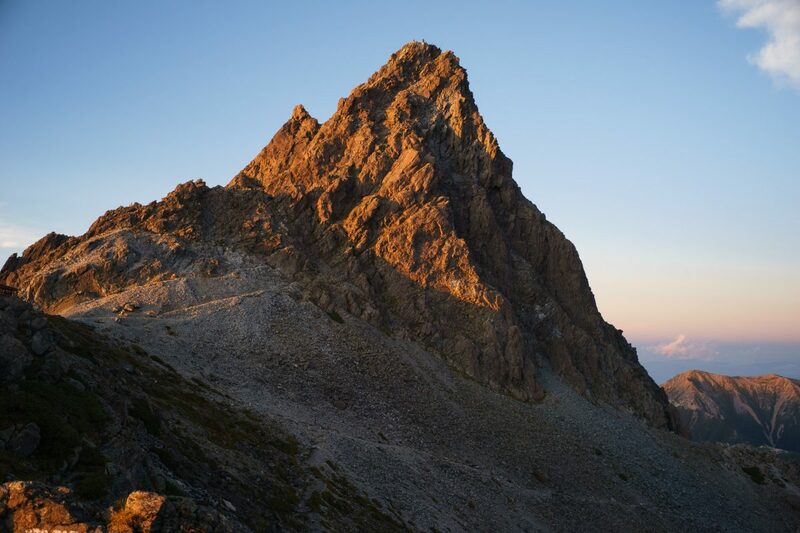 As the caming ground is around 100m below the actual summit, we had to get up a bit earlier than sunset. The night was a little bit rough as it was very windy so the tent was really loud. Also as it was a tunnel type tent it could only be pitched in one direction due to the small camping space, which ment that the wind pressed into the sides of the tent. Hint: bring earplugs if sleeping is difficult for you when it’s loud!